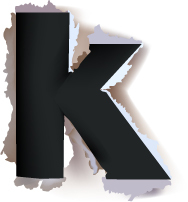 K Is the numerical equivalent of 11/2 and represents extremes. It is strong willed and influential, if not somewhat emotive at times. When it is the first consonant of a name the bearer will possess insights often missed by others. Negatively, K can be dissatisfied with life.